I have to be honest, before I got to Egypt I’d heard so many horror stories about the hassle and the hordes of tourists I was prepared for the worst. But I honestly could not believe how different my experience was to the ones I’d heard about. Because I absolutely loved Egypt. Yep, this country blew me away with its insanely amazing historical sites, unbelievably cheap prices and extremely warm, friendly people. 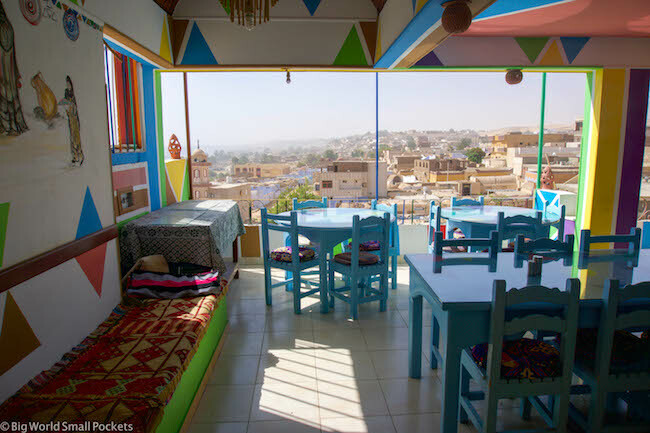 Nothing of the hassle or horrors I’d heard about even came close to marring my time in this country and I really found it one of the most amazing in Africa. 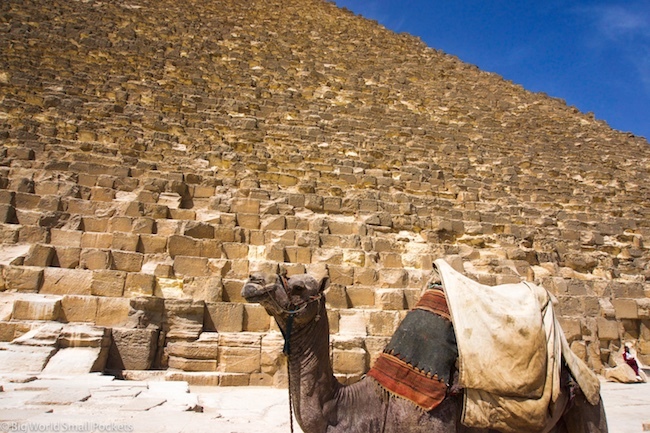 So before you even begin to backpack Egypt, do check the visa requirements! 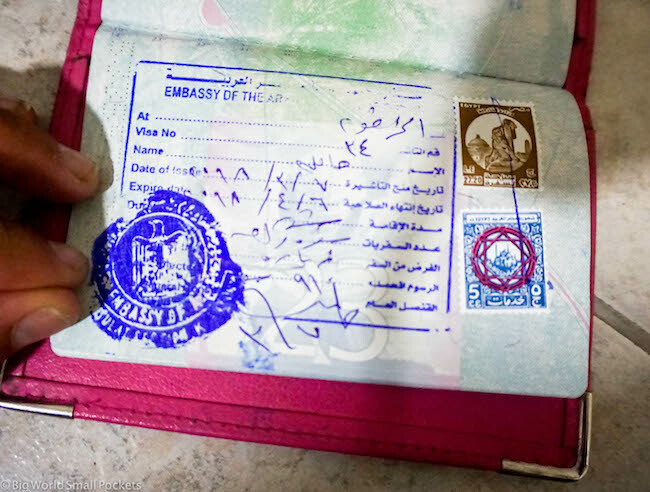 Many nationalities are given free entry visas on arrival at the international airports in Egypt but if, like me, you’re arriving overland from Sudan or Jordan, you may want to get a visa in advance. And before you leave Egypt, you’ll want to check out if there is an exit fee too and leave some spare cash for it. As a Brit, there wasn’t one, but you just never know! Another great thing to think about before you book your trip to backpack Egypt is when you’re going to be visiting this country. 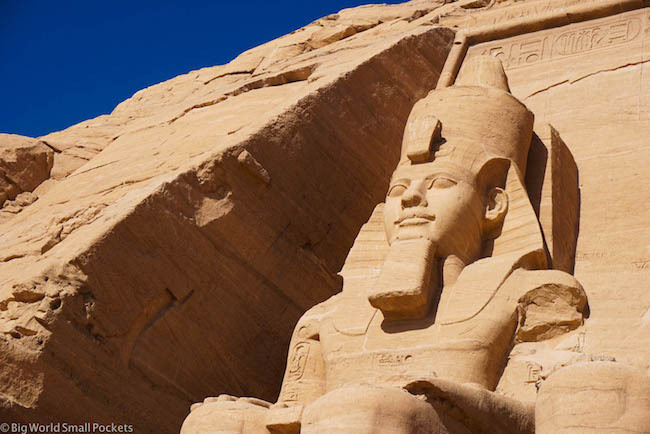 There’s no doubt that Spring and Autumn are the best times to visit Egypt both in terms of price and weather. While the hordes descend on this country from December to February to escape the awful European weather, this sky-rockets prices and waiting times at temples. Visiting during the requisite shoulder seasons means lower prices and less crowds, but you’ll still get some great weather. 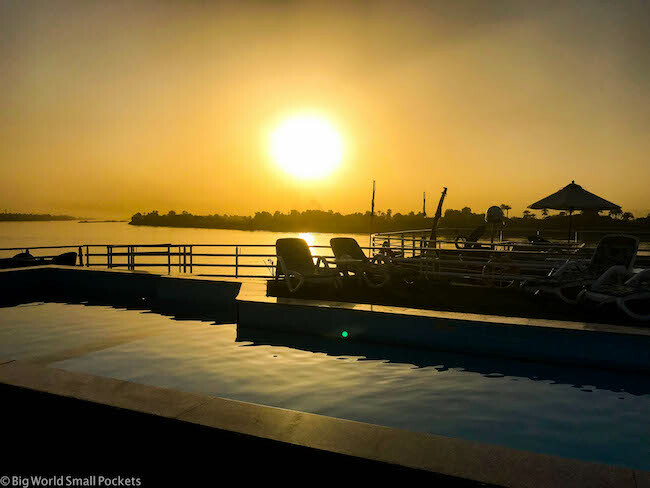 I visited Egypt in March and absolutely loved it – beautiful hot days, followed by cooler evenings meant stellar sunsets, amazing prices and reasonable crowd levels. 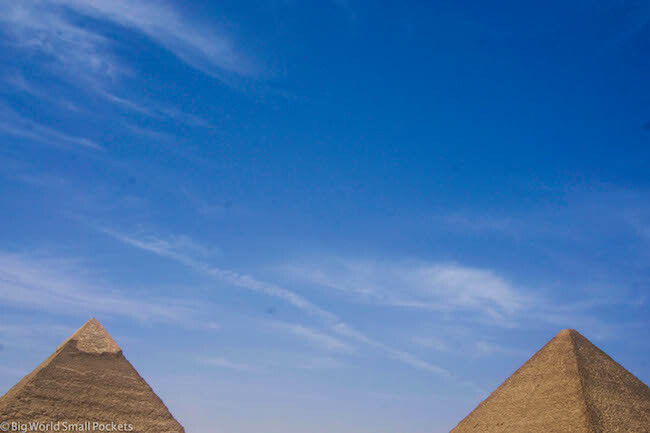 Egypt has some wonderfully cheap flights right now – because they are so keen to encourage tourism back and many bargain tickets can be picked up from across Africa, the Middle East and Europe. 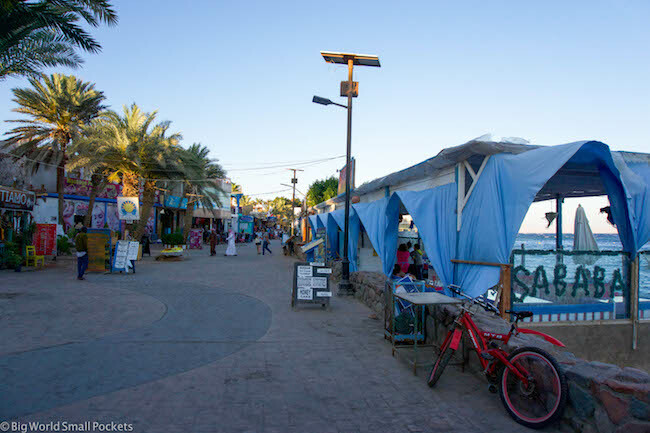 There’s also some great domestic budget airlines that can shuttle you across the country – particularly between the mainland and the Sinai Peninsula – for some amazingly cheap prices, which certainly seem very affordable compared to long bus rides if you’re on a restricted timeframe. Nile Air in particular are excellent and using them to get from Cairo to the Sinai Peninsula to enjoying some diving on the Red Sea was a dream! Egyptian telecommunications are top notch and coming from Sub-Saharan Africa, I honestly felt like I’d arrived in Europe when I was trying to get a SIM, standing in a Vodafone shop with a ticket number and wonderfully competent staff! Sometimes you can take the girl out of the West, but you can’t take the West out of the girl! Anyway, SIM cards in Egypt are cheap, readily available and easy to organise. Everything was administered via an app too, which made topping up and checking my balance super easy. As an example, my SIM card cost just 19 LE (Egyptian Pounds) and I paid just 90 LE for 4G and 115 LE for 5G! I got warned a lot about the aggressiveness of the Egyptian people, especially after the insane friendliness of the Sudanese and Ethiopian people, but I honestly did not find this to be true at all. 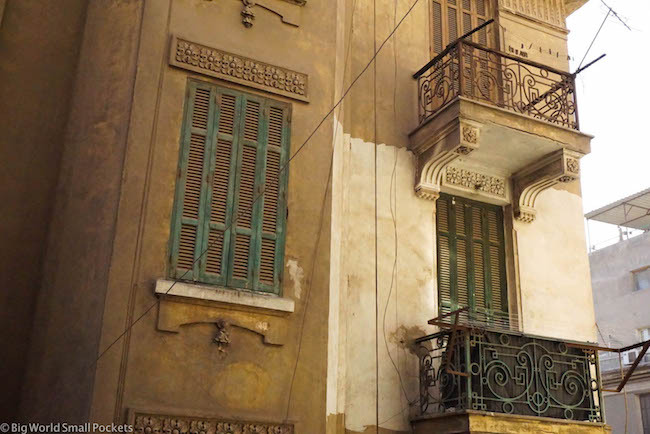 Of course Egyptian people are keen to try and make a living in a tough economic environment, but if you politely refuse their advances, it doesn’t go any further. 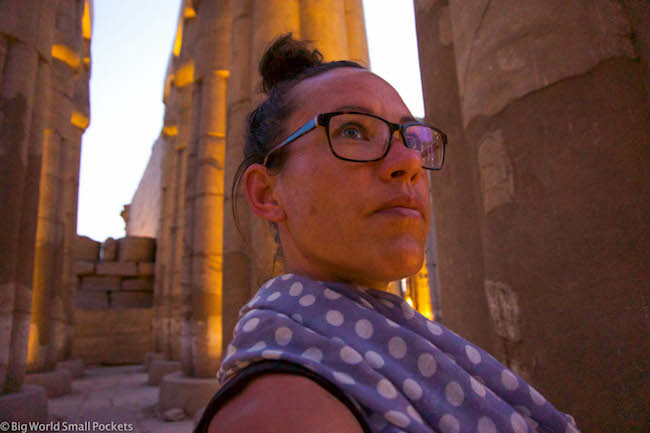 There certainly isn’t an aggressive tourist culture when you backpack Egypt and even as a solo female traveller I never felt unsafe or threatened. And while most of the people involved in tourism industry speak amazing English in Egypt, it is worth buying an Egyptian Arabic Phrasebook before you come – at least to help you understand the local prices a bit more and to engage with people outside the tourism industry. For let’s not forget Arabic has its own alphabet and numeric system too and, within this, that Egyptian Arabic is totally different to say Moroccan Arabic! So get up to scratch and make sure you don’t get ripped off when you backpack Egypt with the use of a handy phrasebook. 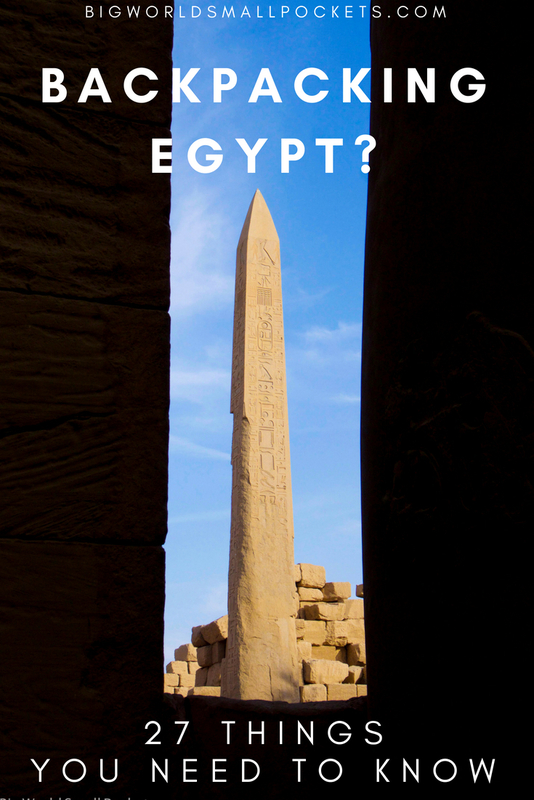 #1 Egypt Lonely Planet – A great travel aide to this country with tons of historical info, the Egypt Lonely Planet will help you get the best from your time here. #2 Travel Insurance – A good idea whenever you travel in Africa, I love Travel Insurance from World Nomads and have used them throughout my time in Egypt and beyond. 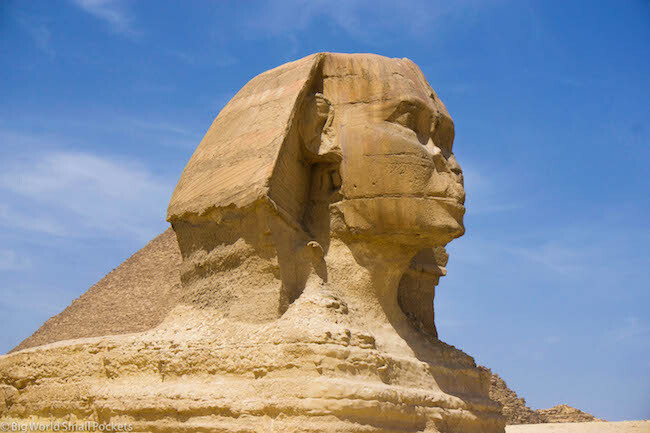 #3 Good Camera – Egypt is one of those ultimate bucket list destinations and travelling here with a good camera will help you preserve the memories. I highly recommend the mirrorless Sony A6000. Light, compact and robust, it’s been perfect for my Africa travel adventures. #4 Sun Hat – Egypt is hot and dry, really like hot and really dry. When you’re walking around temples and other sights you’ll be exposed to the sun for long periods of time, so making sure you pack a sunhat for adequate protection is key. I love this one from Hello Sunshine. 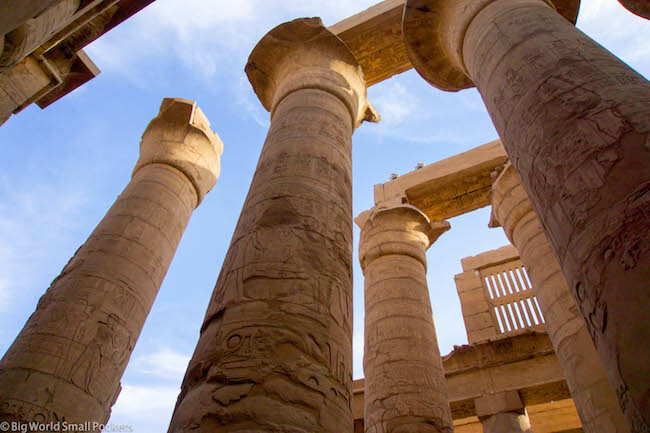 #5 Amazon Audible – Travel in Egypt can often involve long train or bus journeys, so having something to listen to while you enjoy the scenery is a must! I love Amazon Audible, which is the best audiobook service around. So while malaria is thankfully not present in Egypt – an absolute delight for me after arriving from further south in Africa – mosquitoes are still rife and you absolutely must bring repellent. While DEET isn’t totally necessary, you will need something effective. I’d suggest bucking the chemical stuff and going for a good natural mosquito repellent instead. Whatever you do though, bring something, especially if you’re cruising the Nile! 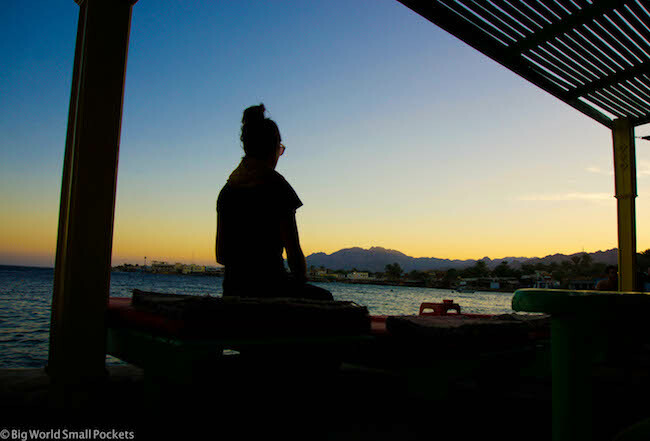 So talking of Nile cruises, there’s absolutely no doubt that this is one of the best things to do when you backpack Egypt. 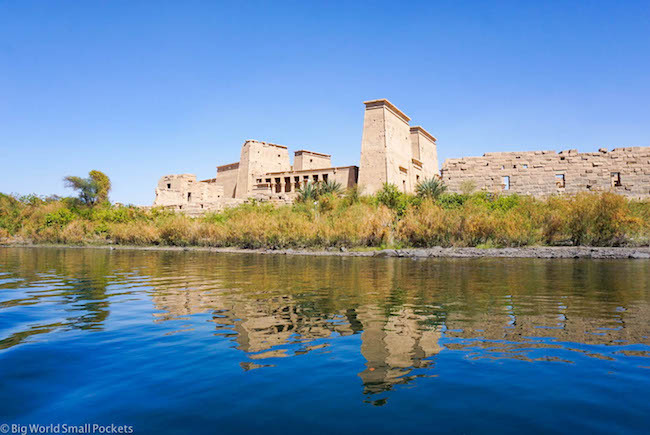 Yes, despite my budget travel ways and aversion to luxury, I absolutely loved my Nile cruise from Aswan to Luxor. However, do not book a cruise before you arrive in Egypt. You will pay a lot and there’s no need! Instead, book your Nile cruise last minute when you’re already in the city of your intended departure. Honestly, you can bag some insane bargains this way, especially if you have a bit of flexibility over dates. Check out my top tips about exactly how I scored my budget Nile cruise HERE! 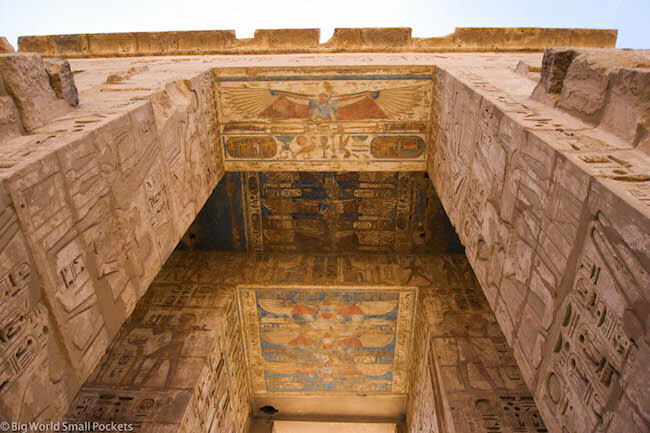 So now that we’re getting onto sights, attractions and experiences in Egypt, it’s well worth talking about temple visits. Because, let’s get real, you’ll be doing a lot of these in Egypt! And honestly, one of the best tips I can give when it comes to backpacking Egypt is to get prepared for long days of sightseeing. So budget travellers, bring your sunscreen, bring your sun hat, bring your water, bring your snacks, bring your guidebook, bring your camera and bring your backpack to house it all in. Getting organised this way will mean you have a much better time than everyone else whose unprepared! And if you’ve got a Student Card, please, please, please bring that with you when you backpack Egypt too. You will literally get money off everything in this country with it. And another great tip when you backpack Egypt is to check what your entrance ticket to any attractions includes. That’s because often the services of a guide are thrown in, which means you can learn a lot about the history and significance of what you’re looking at for no extra cost. So one of my top money-saving tips in Egypt is definitely bag a free guide if you can! The other very important thing to remember when it comes to backpacking Egypt is to pace yourself. 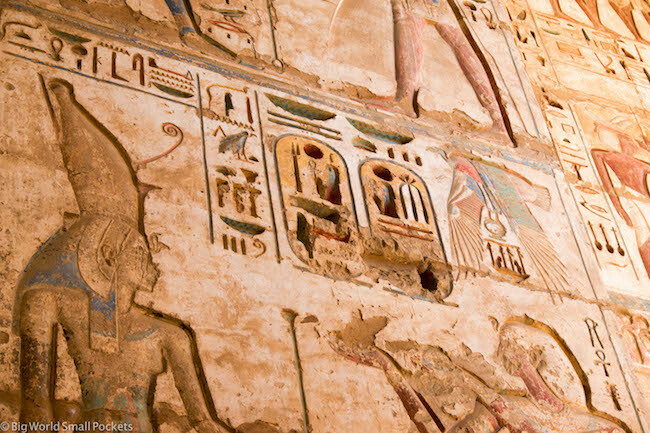 Honestly, all that temple viewing and tomb visiting can get exhausting, so go slow, spread it out and make sure you get to enjoy Egypt for what it is today, as well as what it was yesterday. This is especially true given the heat in Egypt, so try to avoid cramming everything into one day if your Egypt itinerary can allow for it. #13 When is the Weekend? And now onto some practical stuff! As an Islamic country, it’s worth knowing that the weekend in Egypt is celebrated on Friday and Saturday. This makes Sunday a working day, so plan any stuff like buying SIM cards and crossing borders accordingly. Also be aware of when Ramadan falls and check if you’ll be travelling in Egypt at that time. Another great thing to know in terms of practicalities if you want to backpack Egypt is about the availability of alcohol. 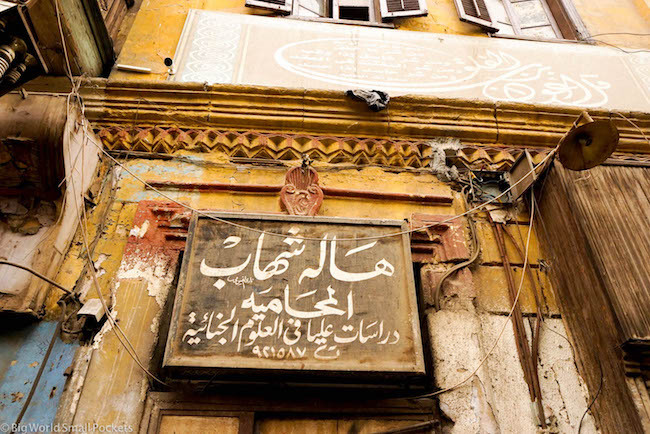 Despite being an Islamic country, I generally found attitudes in Egypt quite relaxed and certainly everywhere I went, alcohol was easy to buy and consumed by both locals and tourists alike. Moving onto other drinks aside from alcohol, it’s a sad fact that coffee in Egypt is awful. If you’re a caffeine freak like me, then prepare yourself, this is the land of bad Nescafe and not much else! Sometimes you can get a fairly decent cup if you ask for Turkish coffee – just be careful to specify the no sugar. Aside from the coffee however, I’m delighted to confirm that you will otherwise eat and drink excellently in Egypt. 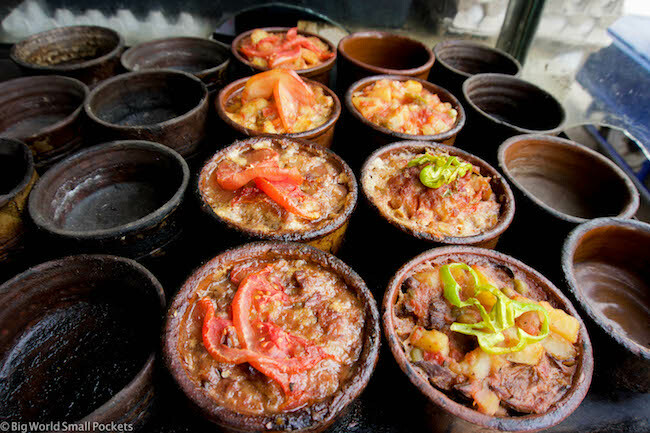 From local dishes such as hummus, falafel and ful to kushari and fresh fruit juices, it’s easy to eat in Egypt like a king for just a few dollars. Look, Egyptians smoke a lot, that’s just a fact. And whether it’s in restaurants, bars, cafes, airports, embassies, bus stations, taxis or trains, you’re going to be getting lungful. 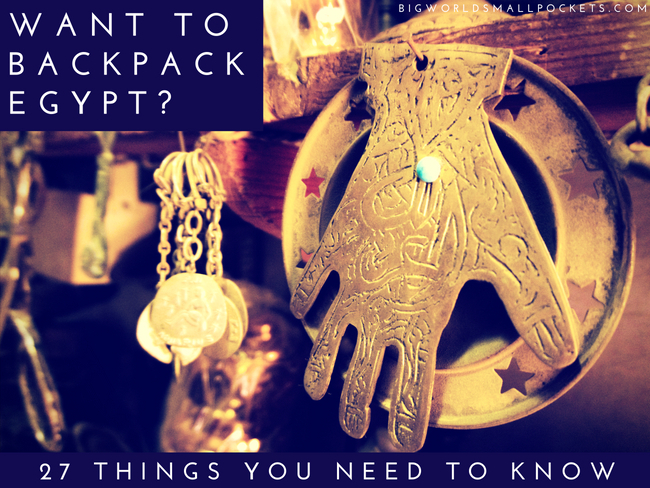 So if you plan to backpack Egypt and can’t handle the smell of smoke… prepare yourself! So yes while there may be non-smoking signs across the trains in Egypt, this is the Middle East / Africa and invariably people don’t give a f*ck and will smoke wherever they like! This includes on trains, directly below the non-smoking sign! That aside, trains in Egypt are amazing. And cheap. 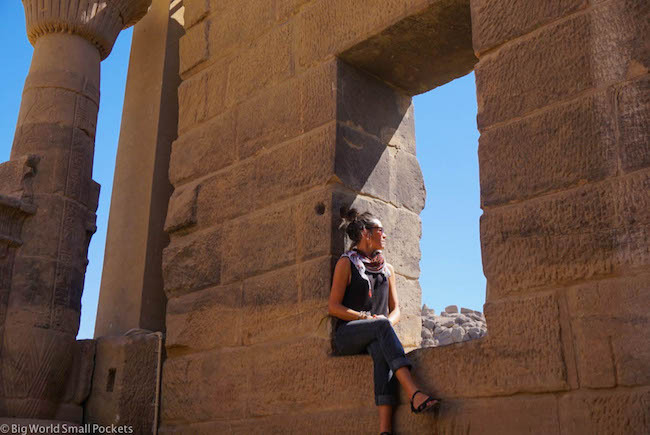 On long distance journeys between Aswan, Luxor and Cairo they are a godsend and can be a really amazing way to take in the views of the banks of the Nile and splendour of the desert here. 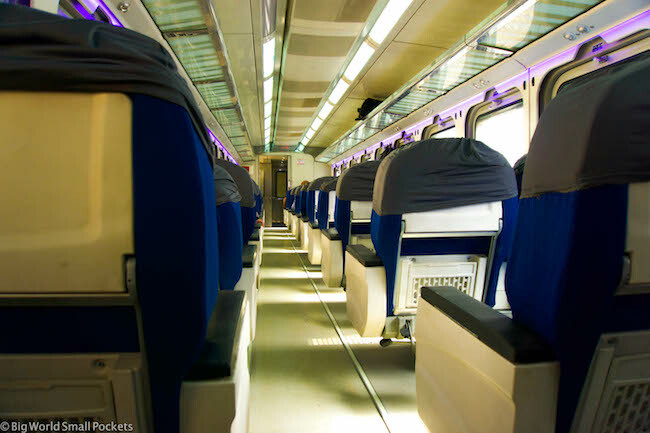 The cheapest option for those who want to backpack Egypt is to take day trains, rather than sleepers. Get a local to buy the ticket for you a day in advance and enjoy incredibly cheap prices that, as a tourist, you just won’t be able to access! Learn more over at Seat61.com. Also, it might be useful to know that they crank the air-con in Egyptian trains, so come prepared with blankets and long-sleeves. Also 1st class is 100% worth the extra few dollars… just saying! So yes, leading on the from the above point, if somebody is going to the train station to buy a ticket for you, they will expect a tip or a baksheesh. 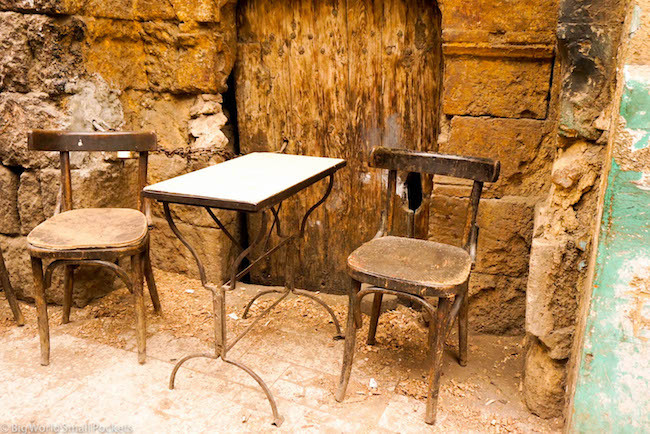 In fact tipping rules the roost in Egypt, so do make sure you have enough small change to always give a bit extra to your guide, driver or housekeeper. This is how people survive in Egypt and respecting this cultural practice is, I feel, very important when you backpack Egypt. I’ve never seen a country with so many cats. 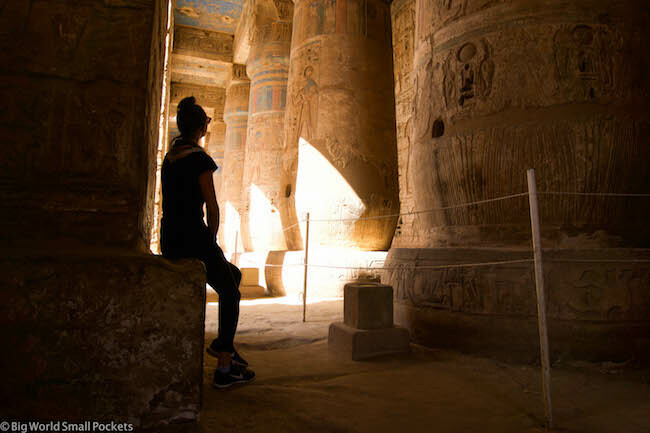 Egyptian is a conservative Islamic country, but having had so many travellers passing through over the years, they have got used to Western dress which is largely accepted and tolerated, aka you won’t be given any disapproving looks if you wear shorts. That said, I generally found I felt more comfortable wearing long trousers in Egypt, accompanied by a t-shirt/singlet and scarf – which meant my legs and neckline were covered. It’s totally not necessary for women to adopt the headscarf in Egypt, but I did find being a little more discreet worked well for me, and with arms and head bare, I was still able to keep cool! Look, I know we’re all trying to save money when we backpack Egypt, but seriously, the magnitude and grandeur of what you’re seeing just won’t be hammered home without a guide. Plus guides are so cheap here, it’s kind of rude not to use the services of one. 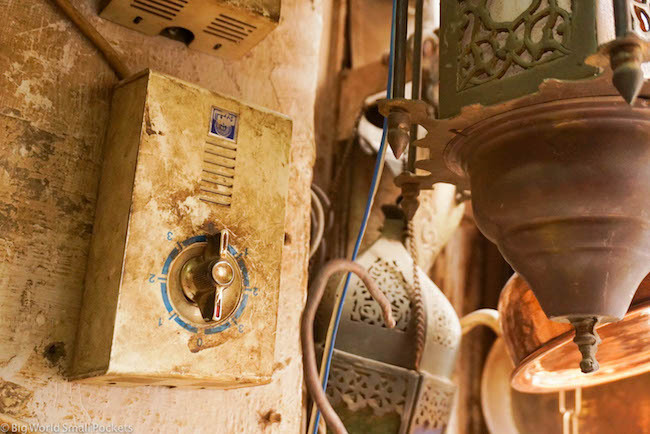 European plugs are used throughout Egypt, so if your devices aren’t fitted with these already, do make sure you grab a European adapter before you backpack Egypt. When it comes to money, you’ll be delighted to know that ATM’s are both plentiful and easy to use in Egypt, with on-screen instructions given in English by most banks. This makes ATM withdrawals a simple and convenient way to access your money when you backpack Egypt. Both Visa and Mastercard are widely accepted. #25 Be Careful with Your LE! On the subject of money, it’s also worth pointing out that, the 50 LE (Egyptian Pounds) and 50c (Egyptian Cent) notes look very similar. Don’t get caught out and always check your change carefully! The best way to get around Cairo if you want to backpack Egypt is the Metro. Super cheap – costing just 2 LE per journey – I’m pleased to report the Cairo Metro is now clean, safe, quick and has English announcements! If the Metro doesn’t suit you however, or if you’re staying somewhere far from a station, then you’ll be delighted to know Cairo has Uber. For those backpacking Egypt, this is a godsend as it assures you a fair price and you don’t have to speak Arabic for the driver to know where you’re going! 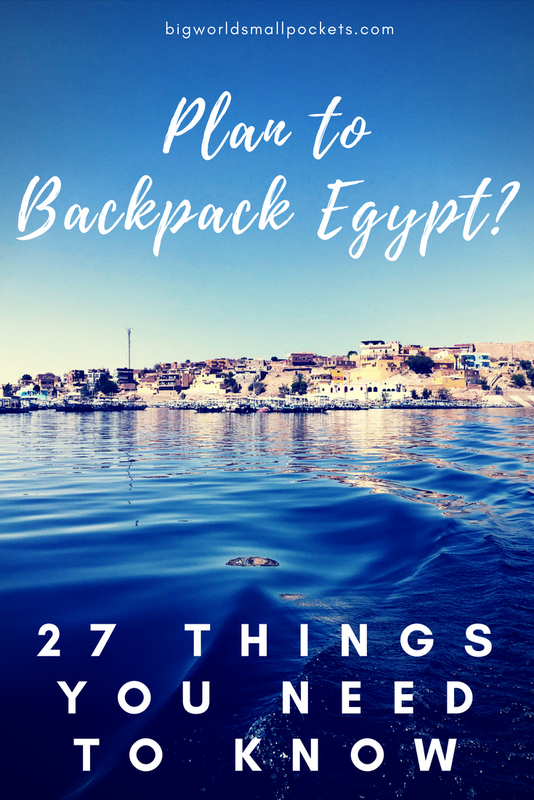 So that’s it budget travellers, my list of the 27 things you need to know before you backpack Egypt. 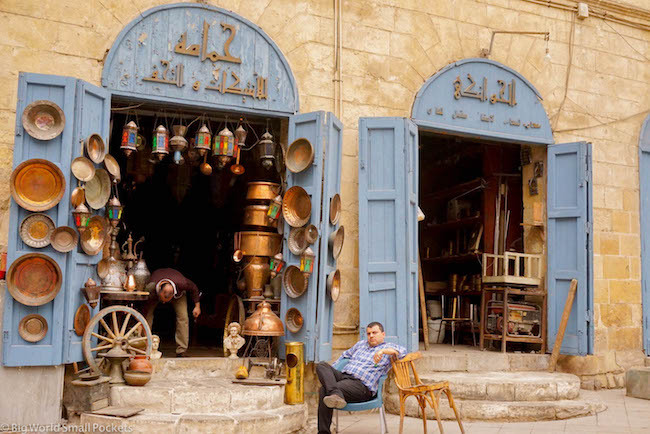 Have you travelled on a shoestring in this amazing country? Do you have any top tips I’ve missed out? If so, please let me know in the comments box below!